This Dorado model has a black DLC coated titanium frame lock handle, a matching DLC blade, and blue anodized hardware. 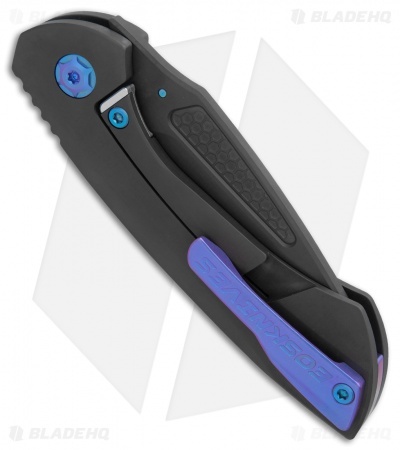 The EOS Dorado is a large titanium frame lock folding knife that's built like a tank. It comes armed with a CPM-154 stainless steel blade with a thumb stud opener and honeycomb textured cutouts. The Dorado's hefty titanium frame lock handle is contoured for a comfortable grip, and comes outfitted with a machined titanium backspacer. A wide titanium pocket clip ensures secure tip-up carry. CPM-154 blade steel offers solid cutter performance and corrosion resistance. 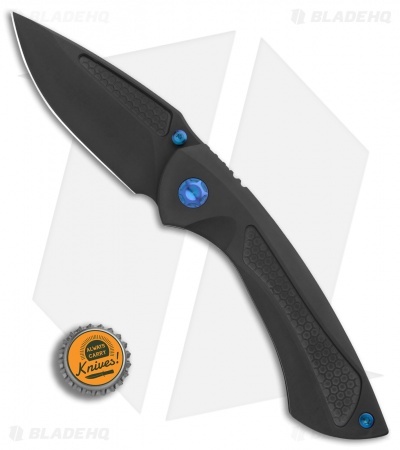 Solid titanium handle constructions provides a durable build and solid lockup. 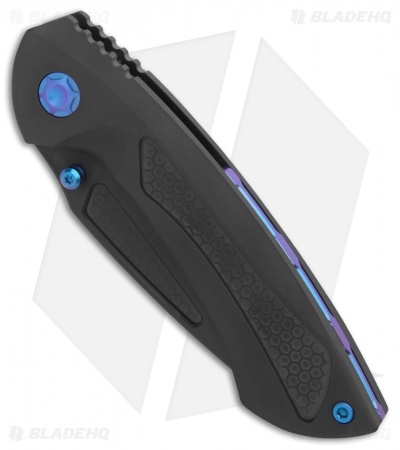 Comes built with a titanium pocket clip and a steel lockbar insert.